(Seychelles News Agency) - A new cruise ship company has announced that their expedition ship – the Silver Discoverer – will now be based in the Indian Ocean for a number of inter island trips. The company – Silversea – will start its operation to coincide with Seychelles’ cruise ship season, which lasts from October to April. The chief executive officer of Seychelles Tourism Board, Sherin Francis, said that the addition of the new company will be a boost for the tourism sector. 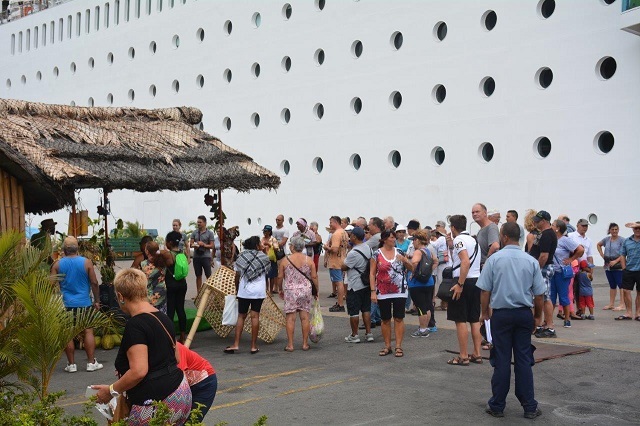 “A lot of our suppliers in Seychelles, be it big or small, stand to benefit with the increase in cruise ship visits to our shores, provided it is well managed and provided it is the right kind of cruises,” said Francis. 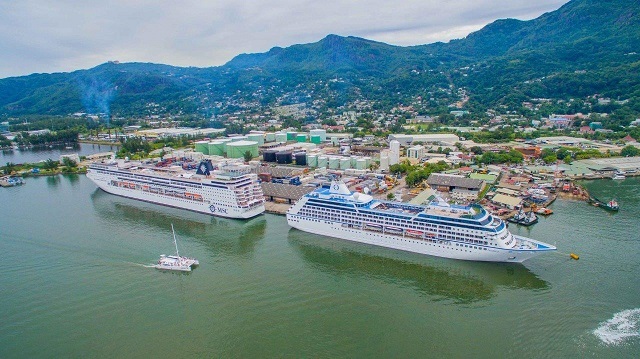 According to the business development manager of the Seychelles Port Authority (SPA), Vincent Didon, the arrival of the new company will give a further boost to the Blue Economy concept that has become significance as part of the livelihood of maritime-forward countries such as Seychelles. “More cruise liners want to position their vessels in the Indian Ocean region and including Seychelles on their cruise schedule. Costa Crosier and AIDA Cruises, which are two of eleven brands operated by one of the world’s largest cruise lines - the Carnival Group, have confirmed that they will be sending a bigger vessel to Seychelles for the 2018-2019 cruise seasons,” Didon said. According to the Seychelles Ports Authorities, the cruise season of 2017/2018 has brought 41 cruise ship calls. Silversea Cruise Ships are known for their smaller sizes luxury ships for the discerning travelers wanting discovery in style. 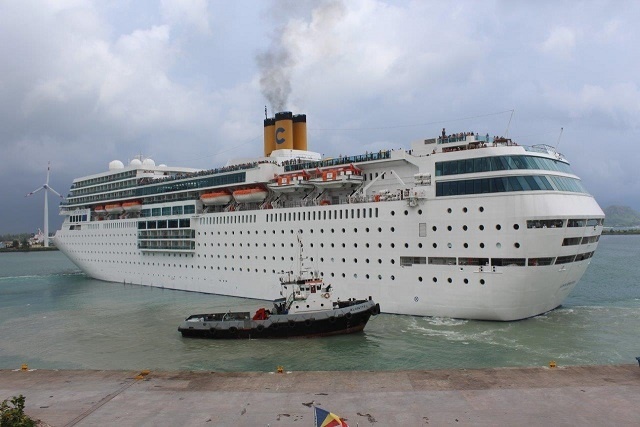 MS Costa Riviera and MSC Sinfonia -- two cruise ships from Italian-based companies — were the first to dock in Port Victoria in October, carrying 1,900 and 1,400 guests respectively. In recent years, marketing efforts have been made to have more cruise liners include the vanilla islands on their itinerary. The Vanilla islands -- an affiliation of islands in the Indian Ocean -- was set up as a travel destination brand. It comprises of Seychelles – a group of 115 islands -- Mauritius, Madagascar, Reunion, Mayotte, and the Maldives. In July this year, Seychelles came out as the top sought-after destination for cruise ships in the region, winning the Indian Ocean’s Leading Cruise Destination at the World Travel Awards 2017. The majority of cruise ships to Seychelles dock in Port Victoria -- the main port of the island nation, which opened in 1972. Upon arrival visitors are greeted at a special reception area, accompanied by traditional music and dances of the islands. The passengers can then be whisked away on tour buses to be guided through lush and scenic granitic mountains and beach-side scenery as well as walking tours in the islands’ tiny but friendly capital of Victoria.